Many of God’s people have been entrusted with much, and Jesus said “To whom much is given much will be required” (Luke 12:48). We are all accountable to use what belongs to God, which He has entrusted to us, to help the needy for their good and His glory. All this is also for our good, since Jesus said “There is more happiness in giving than in receiving” (Acts 20:35, GNT). Here’s a story that I hope will inspire athletes, business people, and others to whom God has entrusted much (and which ultimately belongs to Him!). Without a doubt, God will bless people who act in accord with what we see in this story. By God’s grace, may more of His people step forward and give to Him and to others what will bring Him the greatest glory, others the greatest help, and all givers the greatest joy! 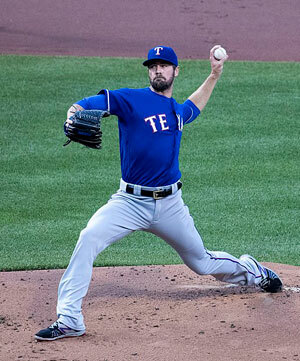 Major League Baseball star pitcher Cole Hamels and his wife are giving away their $9.75 million Missouri mansion and land to a Christian camp for children with special needs and chronic illnesses. The organization doesn’t just serve kids with special needs but also serves campers’ siblings and parents, as well as missionaries. Here’s a video showing the touching work of Camp Barnabas.